Generosity is an attractive thing. I’ve had the privilege of meeting and befriending many generous people over the course of my life. These people, by their eagerness to provide for others, inspire me. One of my hopes and prayers for The Well is that we would be marked by persistent generosity. I want those who attend on Sunday morning to always feel like they are getting something from us—inspiration from the music, encouragement from our hospitality, practical instruction from the message and, this Sunday, a free book. 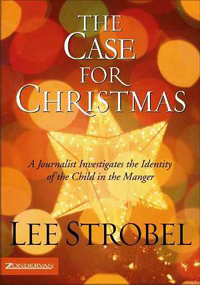 I recently read Lee Strobel’s book, ‘The Case for Christmas’ and thoroughly enjoyed it. The Well has purchased numerous copies and began giving them away last Sunday, at our 11:15 service. We still have plenty leftover, and we’d be delighted to give you a copy this Sunday, December 21. In this resource you’ll find 91 pages of thoughtful reflection on the origin and present-day relevance of the Christmas story. In his usual journalistic style, Strobel examines the eyewitness evidence (Can the biographies of Jesus be trusted?) and the scientific evidence (Does archaeology confirm or contradict Jesus’ biographies?). The Well is only 16 weeks old (This is our first Christmas!). Something special is emerging in this new community. We’d love for you to be a part of that. I hope to see you on Sunday! Buy presents. Put up decorations. Visit family. Prepare special dinners. Attend Christmas services. Open presents. Yes, there is no shortage of things to do in preparation for the Christmas season. Subsequently, I sometimes worry if attending a service of worship becomes just another thing on the already packed ‘To-do List’. For me, however, I look to these gatherings as my opportunity to preserve the right focus. Because as much as I like presents, fancy dinners, and family reunions, I recognize that Jesus didn’t come to this earth 2000 years ago so I could eat more turkey and get more stuff. So, why on earth did Jesus come? I reckon that the mission of Jesus was multi-pronged, but for the purposes of my current message series, I have attempted to answer this question in 4 parts. Part 1 – for whom did Jesus come? Part 2 – what was Jesus aiming to accomplish? 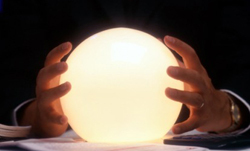 Part 3 – how did Jesus expect to meet His objective? Part 4 – for what ultimate end was Jesus working? Rather than speculate, or subjectively infer, what Jesus came to do, I have limited myself to those sayings where Jesus Himself articulates His mission. Statements where Jesus says, “I came to do [this]” and “I came not to do [that]”. On December 7 at St. Giles Kingsway and The Well, I pointed out what characterized those whom Jesus chose to pursue. Dining with tax collectors and ‘sinners’ was Jesus’ custom. He didn’t hang out with those of noble descent, or even the religious elite. Jesus hung around ordinary ‘Joe’s’ and ‘Jane’s’. It was a largely unimpressive bunch that Jesus surrounded Himself with. For present day followers of Jesus, this pattern holds some hugely practical application. You can listen to the entire message below. I have met people who imagine the Christian life to be a boring, uneventful, existence. My experience has been the complete opposite. The degree to which I have drawn close to Jesus is the degree to which my life has been marked by abundance. I don’t mean material abundance, but rather, an abundance of contentment. I have yet to meet a person who isn’t looking for contentment. We all want to be satisfied with our life. The difference lies in how we seek to obtain this satisfaction. And I suspect the difference remains because many things do indeed bring us a measure of satisfaction. But I don’t want my contentment to be fleeting. I don’t want my contentment to be easily dismantled by adversity and anxious moments. I want a contentment that is abiding, and I believe Jesus has made this available to us. With Jesus’ words from John 10 as our springboard, and using the 23rd Psalm as our blueprint, I invite you to listen in on a message that explains how contentment is closer than you ever imagined.